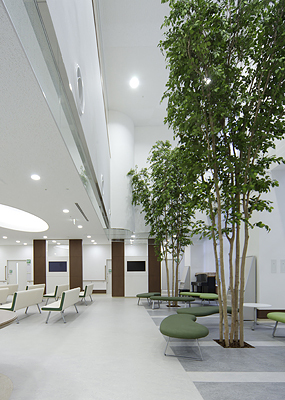 Fussa Hospital | PROJECT | YAMASHITA SEKKEI INC. 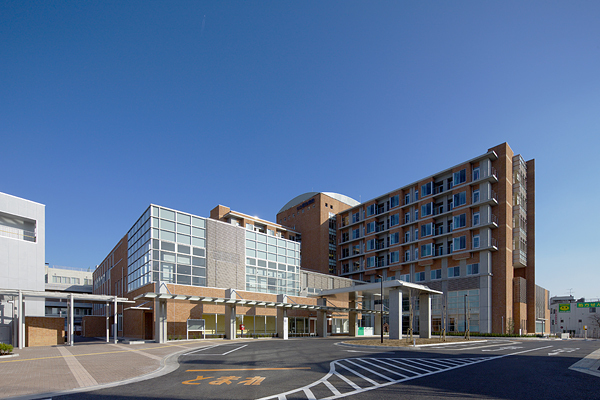 In this project, a new hospital was built on the site of the former one. Since it is a core hospital serving an area administered by two cities and one town, the number one priority was to enhance the medical care functions. 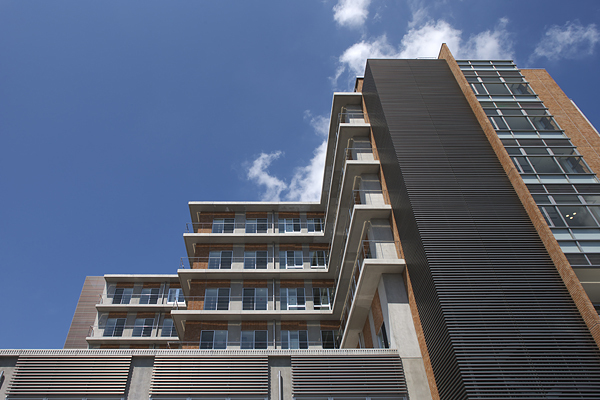 The rebuilding took place while the existing hospital continued in operation, on a narrow site with little room to spare. We therefore devised a rebuilding process for obtaining the maximum floor area in the initial phase. 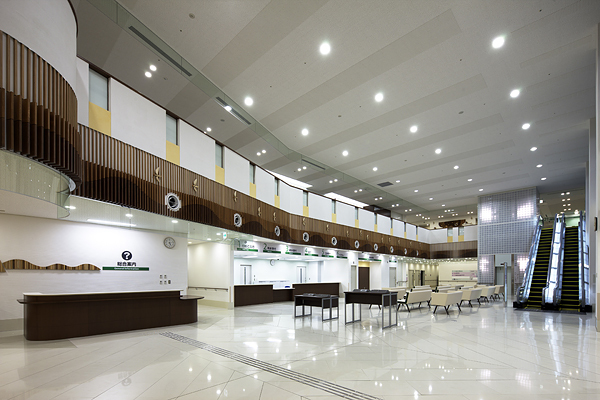 The work was carried out with minimal use of temporary facilities and keeping down costs while minimizing the impact on the medical care functions of the existing hospital. 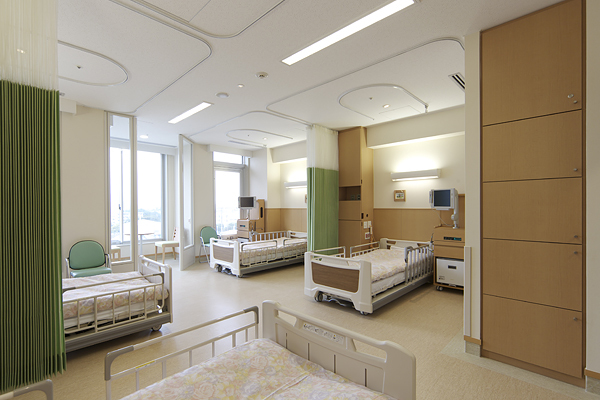 For the hospital wards and patients’ rooms, we adopted a gentle and warm wood-themed interior design. In four-patient rooms the beds are arranged in a V-shape for increased privacy. In these and other ways, the plan is sensitive to the feelings and needs of patients.